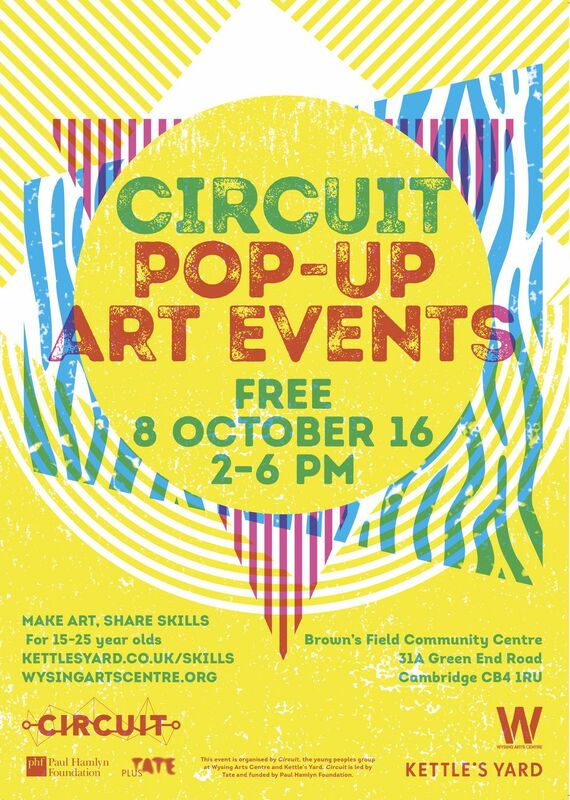 A one-day pop up art event for sharing skills and creating. Young people will be sharing skills to help others to create artworks. Come along to make art, watch performances, relax in a creative place and eat free food! There will be grafitti, dance and we have designed and built a pavilion to be decorated on the day. Graffiti with Girton Youth Project. Create your own stencils and play with different styles of spraying. Dance with Sin Cru. Get inspired by young hip hop dancers and try out their moves yourself. Photography with Charlie Bryan. Look for the unusual in ordinary surroundings using instant cameras and photo printers. Make food sculptures with artist Sam Curtis and young people. Experiment with cool stationery and have a go at creative writing. No previous creative experience is necessary and you can make art to take home with you.